I’ve owned several of these cars and enjoy them a bunch. If you think about it, the new-for-1992 Ford Mustang GT model, and the new third gen-Camaro that came out at the same time, really signified the rebirth of affordable performance from Detroit. 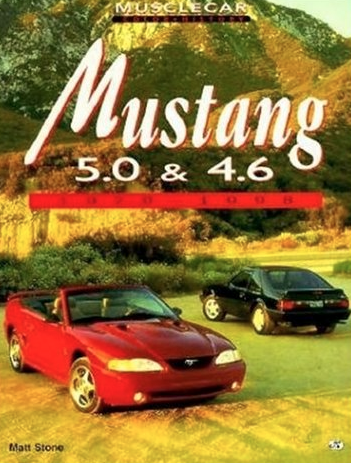 This book covers the development of the Fox and Fox-4 platformed Mustangs, plus all the different models (through 1998), racing, and the aftermarket. There’s a separate chapter on the birth and first five years of Ford SVT, which was really in its heyday at that time, plus Saleen as well.